Sansheng's "The Golden Carp Out of the Net"
Evan all these are not comparable to the veteran master's ability. That also is not a great wonder. Tell me, what do you do when a man of transcendent experience comes? Meeting the strong, be weak; meeting the soft, be hard. If both are robust and smite each other, there will surely be a wound. Tell me, how do you meet your foe without collision? Sansheng said to Xuefeng, "The golden carp is out of the net! Tell me, what will it feed on?" Xuefeng said, "When you have got out of the net, I will tell you." Sansheng said, "The renowned teacher of fifteen hundred monks cannot find even one word to say about this topic." Xuefeng said, "I am the chief abbot and have much to attend to." 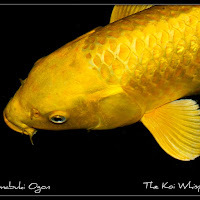 Or: "When a great golden carp escapes from the fish-enclosure, it is doubtful what he should eat" (Shaw). Or: "I shall tell you if you bring me a net" (Hoffmann); "I have been waiting for you to come out to tell you what to eat!" (Shaw). Or: "Does any of the thousand and five hundred wise (of the past) understand what I've said?" (Hoffmann). (The golden fish) is free in all ways. This question is too lofty. You must just know for yourself -- then what need is there to ask any further? He diminishes the other man's reputation quite a bit. An expert teacher of our sect is naturally independent. The crashing noise of sudden thunder really startles the crowd. Let him leap about. It's not a matter of victory and defeat. Xuefeng lets his move go. This statement is most poisonous. Without waiting for the line to be put down, he rises to the hook himself. When you meet someone, only say thirty percent for the time being. The prophecy on Spiritual Mountain was not like today. You see jowls on his head from behind. This is not a casual Zen pilgrim; he is an adept to be reckoned with. Neither the questioner nor the question should be taken lightly. There is something going on here. The old man is not impressed; he doesn't hesitate to diminish his reputation. The dragon's roar has an echo to it. Lighting flashes, the pure wind blows, and when the dust finally settles, it's clear that this has been a meeting of adepts. The golden carp comes out of the net! Don't say it remains in the water still. Shouldn't be said to linger in the water. Swinging its fins, lashing its tail. Waves his mane and wags his tail. At a single peal of thunder, pure wind gusts. A cool breeze -- yes! a cool breeze comes. Who in the whole universe knows this? Pure wind gusts -- how many in heaven and earth know? clouds and thunder both give the send-off. Jumping, leaping splendidly, his great function is seen. Leaping up magnificently -- look at the great function. Burning his tail, he clearly passes beyond the Gate of U. Fine fish are never kept in a pickle jar. The beautiful fish won't agree to be sunk in a pickle jar. The mellow old man does not startle the crowd. Used to meeting great opponents, he is fearless from the start. Someone used to facing a great adversary has no fear from the start. Flapping as lightly as a flag in the wind, he weighs more than a thousand pound. Massive, massive -- heavier than even a thousand tons. His name is known across the Four Seas. Is anyone his equal? Sansheng's exalted fame over the four seas -- who again was his peer? Though the Eight Winds blow, he stands alone unmoved. Xuefeng stands alone, the eight winds blowing do not move him. Sansheng was the Temple Keeper at Linji. When Linji was about to pass on he directed, "After I'm gone you mustn't destroy the tresure of the eye of my correct teaching." Sansheng came forward and said, "How could we dare destroy the treasure of the eye of your correct teaching, Master?" Linji said, "In the future, how will you act when people ask questions?" Linji said, "Who would have known that the treasure of the eye of my correct teaching would perish in this blind donkey?" Since he was a true son of Linji, he dared to respond like this. You must be beyond categories and classifications, you must have obtained the use of the great function, you must have an eye on your forehead -- only then can you be called a golden fish who has passed through the net. With Xuefeng and Sansheng, though there's one exit and one entry, one thrust and one parry, there is no division into victory and defeat. Sansheng doesn't touch on inherent nature or the Buddha Dharma: instead he asks about food. But say, what was his meaning? The golden fish who has passed through the net ordinarily does not eat the tasty food of others, so what does he eat? Xuefeng replies in casual fashion with only ten or twenty percent. Observe how the two of them held fast to their territories, towering up like ten thousand fathom walls. With this one sentence of Xuefeng's anyone other than Sansheng would have been unable to go on. Yet Sansheng does go on. How obstinate this statement is! Look at these two men: initially both were solitary and dangerous, lofty and steep; in the end both were dead and decrepit. But say, was there still gain and loss, victory and defeat? When these adepts harmonized with each other, it was necessarily not this way. Sansheng can be said to be accustomed to having been a guest at the ten-thousand-fathom Dragon Gate: Xuefeng is much like Meng Chang (who used to always have thousands of house guests) -- when the gate opens, how could he fear an eminent guest? Sansheng, in posing this question, undeniably set out a bowl of glue in a forest of thorns. When Xueyan asked Sansheng's question to Gaoyou Ding, Ding answered, "Dry dung." Xueyan than said, "Thanks for the offering." This joy iof Dharma and delight in meditation is not less than the ancients. As for Xuefeng, at first he is thirty steps away, but drawing out Sansheng. Strange -- it is just like a national champion playing chess first looking several moves ahead before he makes his move. Sansheng, seeing that at this stage victory and defeat are not distinguished, went by a different route. Using the tooth and nail of the cave of the Dharma, he captured him alive. Xuefeng's reply is honest and sincere. When contending, there's not enough; when conceding, there's extra. What a pity to let him go -- he should be hit thirty times. This caning shouldn't be lessened by even a single blow, but it's just that it's rear to meet one who is capable. This is a question presenting an understanding, a question making temporary use of a phenomenon. An encounter as plain as this is rare. 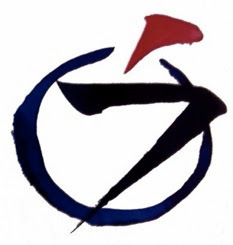 Sansheng associated with Linji for seventeen years. The implication is that after having passed beyond everything there is nothing to eat, so please offer any delicacy you might have. Sansheng having turned himself into a golden fish, Xuefeng cast a net over him. An immeasurably great general, he's got cold courage. "I'll tell you when you've gotten out of the net of glibness, since you're not out yet." Sansheng casts a net wide as the skies over Xuefeng's head, an exceptional maneuver. "I have a lot of duties, so I may have been impolite; please excuse me." This is even bigger in scope than the words of a teacher of fifteen hundred: this is Xuefeng's coldness, which deserves to be called splendid; indeed, if you do not know this, you cannot be said to have passed through the net. Not staying in the stagnancy of the spiritual water of the river of Zen, not using simplistic devices and objects like the cane and the shout, not needing to consume any of the sayings or statements of Zen or Buddhism, is there anything else to eat? This is making us of a thing to present an understanding. "The understanding you present is sure Zen-like, but the mental activity in your state of perception is after all a huge net covering you, so emerge from that net and throw it off; then I'll tell you." Xuefeng stroked him down from the top of his head; this is the naturalness of an adept Zen master. Sansheng, furthermore, was also an adept, so where nothing could be done he said this -- implying that Xuefeng didn't know what to say. "I'm asking about food," he says, in a retort that leaps beyond even the immense net of Xuefeng, which is like the vast net of heaven. "Since I'm in charge of this temple, there are all sorts of different matters to attend to, so I don't know anything about religious conversation, just a handful of chores." This is an interchange of adepts, without a trace of Buddhist dogmatics. The saying appears in Xuedou's verse to BCR7, "Ascending the falls, the carp became a dragon." The net is not a fisherman's net but the mental restrictions that blind the mind of man. A monk who has broken free from these and achieved a great enlightenment is the golden carp that has ascended the falls and beome a dragon. Sansheng is declaring himself to be such a person. Sansheng is saying that he is satiated with enlightenment, samadhi, and everything else. What treatment is Xuefeng going to give him now? Sansheng was not saying this recklessly. He was sure of his footing and could withstand Xuefeng's rebuff. He took the offensive. I am too busy to pay attention to your false accusation. One day the young beginner, Sansheng, came to his old teacher Xuefeng, and said: "When a full-grown carp is so big and strong that he can get out of the enclosure where the small fish are kept and fed, he may not know what is his proper food now that he is living in the wide expanse of the seas. What is his food then?" Sansheng is saying he is no longer "small fry," and is ready for the higher and deeper instruction of one who had attained Enlightenment. When the Shogun, Yoshimisu, said to Ikkyu, "Catch that fierce tiger for me," and pointed to a painting in the screen of the palace, Ikkys replied, "Yes, Sir. I am ready. Please drive the tiger out and I will capture it at once." There are many sayings like that in China. For example, "When the sky breaks down how will you build it up?" To which the reply was, "All right, break it down and I will immediately show you how to build it up." In this vein, Xuefeng replies, "All right, come out first and I am ready to show you what to eat." The really enlightened man will not expect to live in any way different from the ordinary and regular mode of life. He will not expect to be given "special food." He will just carry on his life in the ordinary way, doing his allotted chores, "gathering fire wood, cleansing lavatories or washing people's feet." That is why Xuefeng replied that he himself was still engaged in just his ordinary everyday duties and temple chores. This koan is about skillful means. If you are able to retreat from your position, the other pillar has resistance and has to fall -- and then there is space for your partner to also shift position. In other words, "I've passed through the barrierless barriers set by the Buddhas and Ancestors. What are you going to do with me now?" Xuefeng points out Sansheng is still stuck in his arrogance and pride. But Sansheng meets him again with strength. Xuefeng seems to retreat but there are thorns in the mud. He says, "I'm very busy. I have a lot on my mind." Is Xuefeng conceding to Sansheng? We have to respond appropriately to conditions as they present. This is called skillful means and it's probably one of the most difficult and dangerous aspects of our practice. If one is deluded about one's understanding, "skillful means" can be used as an excuse for one's own abusive behavior. It's not easy to know how to swallow and digest our practice. To integrate it as our life is even more difficult. Xuefeng could beat Sansheng around the ears if he wanted to. But instead he just says, basically, "I'm too busy to continue this conversation." Is this meek old man really a teacher of fifteen hundred monks? In the end, like Sansheng, you have to face yourself. Xuefeng's words were not ceding to Sansheng. They cut off Sansheng's head and gave him no leg to stand on. Having no safe place to rest, how can you be the golden carp that passes through the netless net? Sansheng was quite clear in his Zen realization. A “net” is used to catch fish. We are dealing here with a fish that has bitten through that net and obtained its freedom. 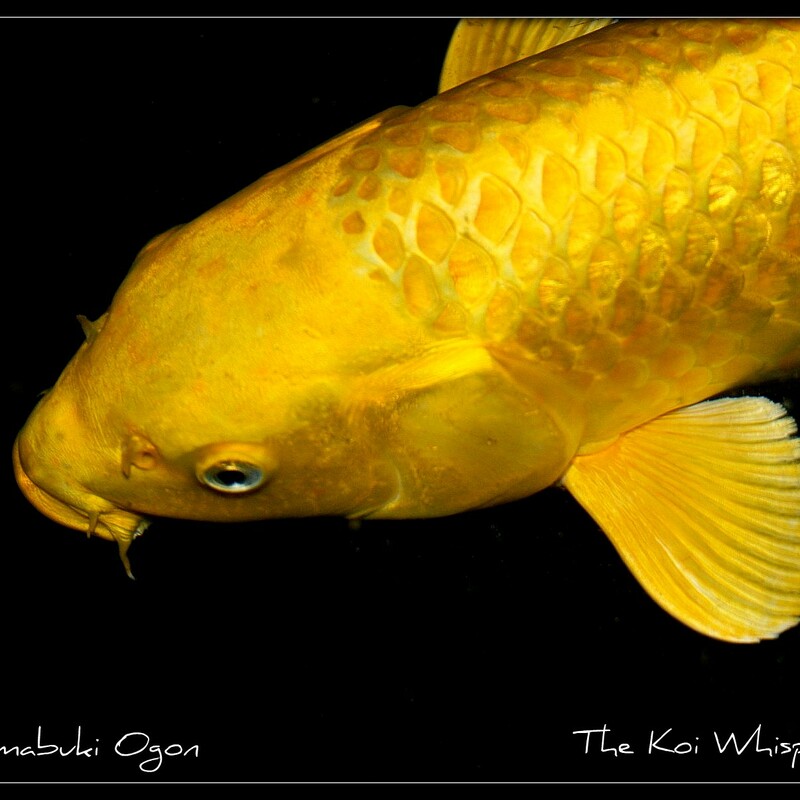 A “fish with golden scales” means a truly large and splendid fish. The net is our concepts and ideas. Sansheng is asking about someone who has eliminated all concepts, including ideas of Buddha or Dharma and Buddhism. He asks Xuefeng how he will deal with him. Sansheng's first statement assumes that he has already passed through the net, but Xuefeng does him one better in telling him that he’ll discuss the matter when he passes through the net! This could go on, with each outdoing the other, ever upward. beyond Xuefeng with his reply. time to spend with you now." A truly wonderful answer, but one that is difficult to make. The net is elusive. It appears and disappears. It creates edges that are nonexistent. The golden-scaled fish is inherently free in every way when it knows it is in the net. Be that as it may, the golden fish that has passed through the net clearly does not eat ordinary food. What is its food? Sansheng is a distinguished adept. Why does Xuefeng say, "I will tell you after you come out of the net"? Although Sansheng knows how to turn the spear around, old Xuefeng remains poisonous. Can it be said that these two have passed through the net, or are they just harmonizing in delusion? crystal clear through and through. flourishes its tail and stirs up the bottom. OR: "You know today I'm busy so I've got no time to mess around with you." COMMENT: In his fish-and-net question, Sansheng asks Xuefeng to explain to him the "subtle working" of the enlightened mind. But in viewing the enlightened person as "fish" and enlightenment as a "net," Sansheng splits into two what is in fact one. By asking Sansheng to bring forth the "net," Xuefeng ridicules the inappropriate simile. Sansheng, who does not understand the irony of Xuefeng's answer, is still conceited with his "clever" question, at which Xuefeng hints that he would appreciate it if Sansheng took his leave. The answer suggests that the "working" of the enlightened mind is nothing mysterious. It consists of doing the right thing at the right moment. What do fish eat after passing the net? When you come through the net then I'll tell you. The goldfish, escaped, is finally free. He leaps in the air and startles the crowd. there is neither victory nor defeat. One thunderclap brings the purest wind. Still, he's has nothing for dinner. the face of a fish. the curtains, even the doormat. the house is lighter without you.